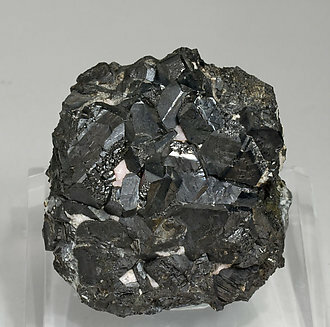 Group, on matrix, of octahedral Alabandite crystals that have their vertices truncated by cube faces and that show very well the Spinel-law twin. The length of the main crystal, clearly dominant, is extraordinary and it is unquestionably one of the largest ever found. 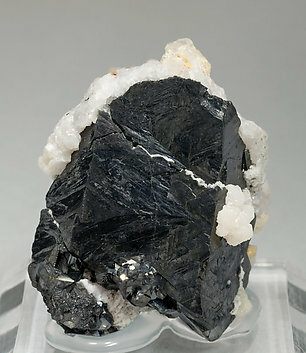 A really big crystal with a neat Spinel law twin, a luster more intense than usual for the species, and partially coated by small crystals of Calcite. 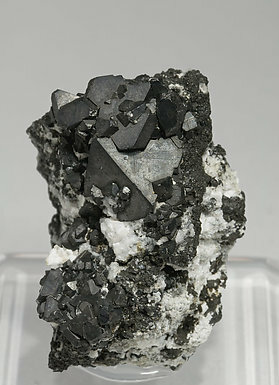 Group of octahedral crystals of Alabandite with very sharp faces and edges, neatly Spinel law twinned, with an intensity of luster very uncommon for the species. In matrix, with Rhodochrosite. Group of sharp octahedral crystals of Alabandite on matrix, with slightly pink Rhodochrosite. A novelty in Munich 2010. 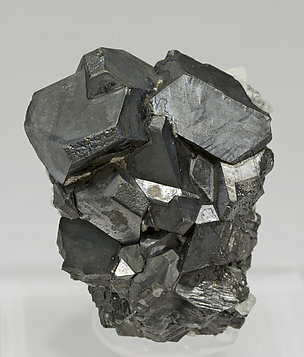 Group of elongated cubo-octahedral crystals of very well defined faces and edges and of a considerable size for this species. 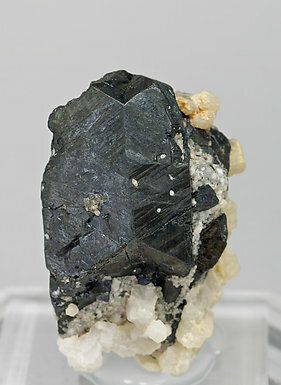 One of the crystals at the center of the group shows, very visible, the Spinel law twin. This species is very rare, especially in easily seen, well developed crystals as in this case. 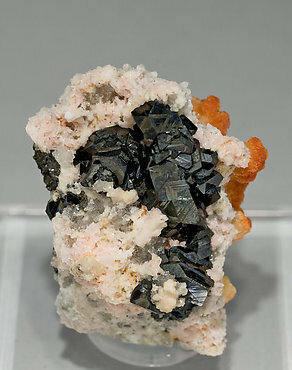 Group of cubo-octahedral crystals of Alabandite with the spinel law twin. The crystals, of good size, are with slightly pink Rhodochrosite. A very rare species. 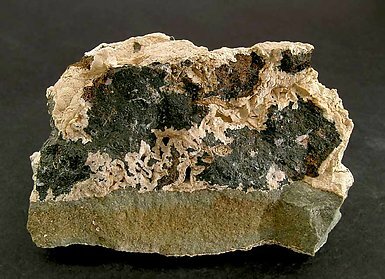 Analysis has shown that it is Alabandite. Although this is normally an unattractive species, this time it is accompanied by Rhodochrosite concretions that create a sharp contrast and also add to the esthetics. We will give you the results of or analysis. 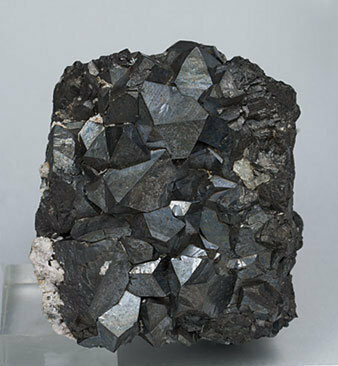 Aggregate of very sharp octahedral crystals with the very well defined spinel law twin. They are bright and are on matrix, with Rhodochrosite.